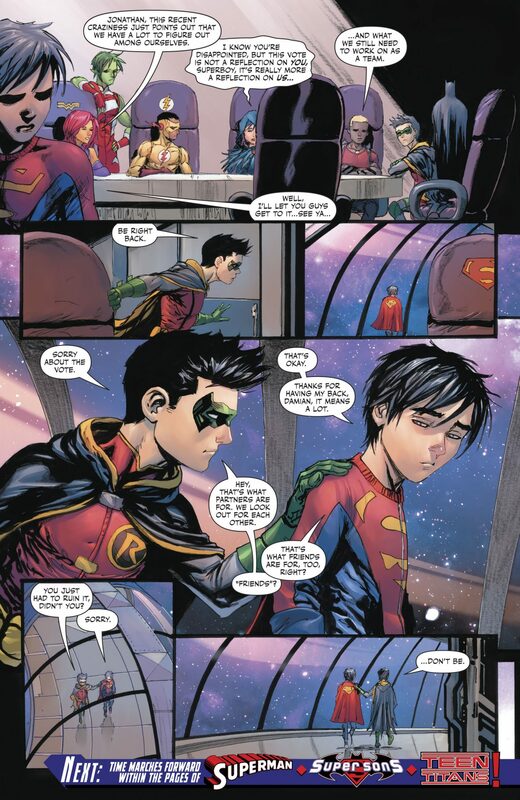 The Teen Titans sitting on the seats of their mentors, or equivalents in the Justice League, is a cool moment. 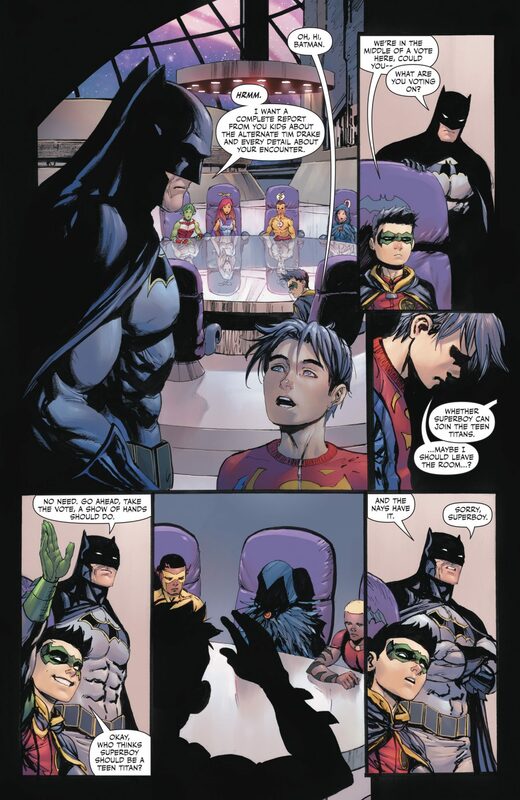 I get why Raven sat on Cyborg’s chair — they’re both the teleporters of the group! 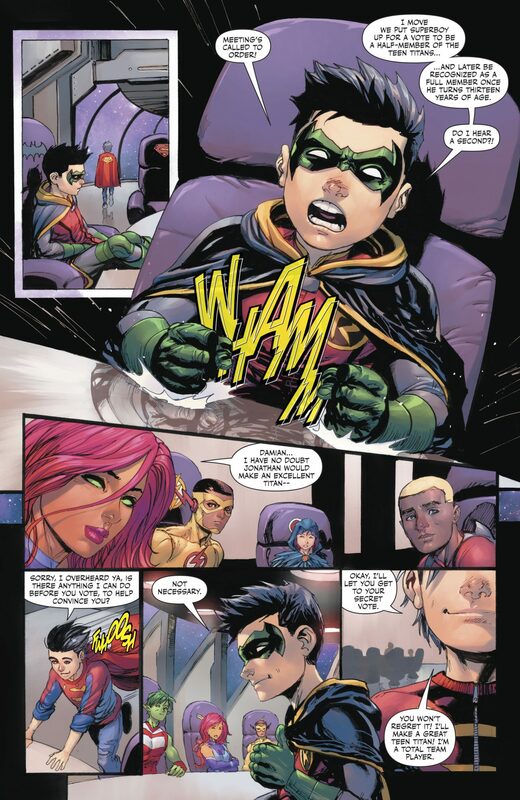 Beast Boy is Green Lantern because…. green? 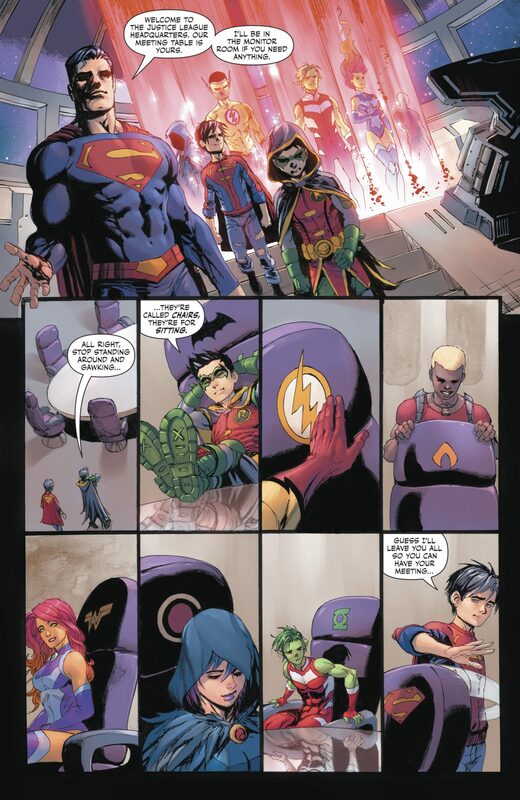 Or because Beast Boy’s transformation powers is the closest one to a Green Lantern ring’s projections.